Somedays when I go to write a blog it seems like I’m only writing this thing for all the dough… No, that’s not a clever way to reference that I’m making money through this blog (lets be honest, I don’t think that I’d ever become that popular what with my ridiculous rants…), but it is a cunning pun which allows me to awkwardly segue into today’s recipe post! Bread! Put the flour into a mixing bowl and add the yeast on one side and the salt on other. Stir the ingredients together. Add the olive oil and 3/4 of the water and mix together by hand. Then add the remaining water. Turn the dough out and knead until silky and smooth looking – about 10 mins. 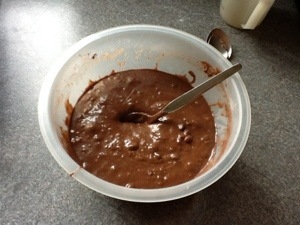 Put the dough in an oiled bowl, cover with cling film and leave to prove and rise for about an hour. OPTIONAL STEP: Have a nice cup of tea! Turn the dough out and knead for a few minutes. Separate the dough into 8strands of equal size, 16 inches long and roll into sausage shapes. Fan the strands out from a central point at the top, like an octopus and stick the tops of the strands together, and then onto to the work surface. Now comes the tricky part. Label the strands 1 to 8, from left to right. Each time you move a strand, it will take the number of its new position in the row of strands. Step 1: place 8 under 7 and over 1. Step 2: place 8 over 5. Step 3: place 2 under 3 and over 8. Step 4: place 1 over 4. Step 5: place 7 under 6 and over 1. Repeat steps 2 to 5 until all dough is braided. Tuck both ends of the dough underneath to make it look nice and place on a floured baking tray before leaving to prove again, for another hour. OPTIONAL STEP: Have more tea! Beat the egg and brush it over the loaf so that it bakes a nice golden brown colour. 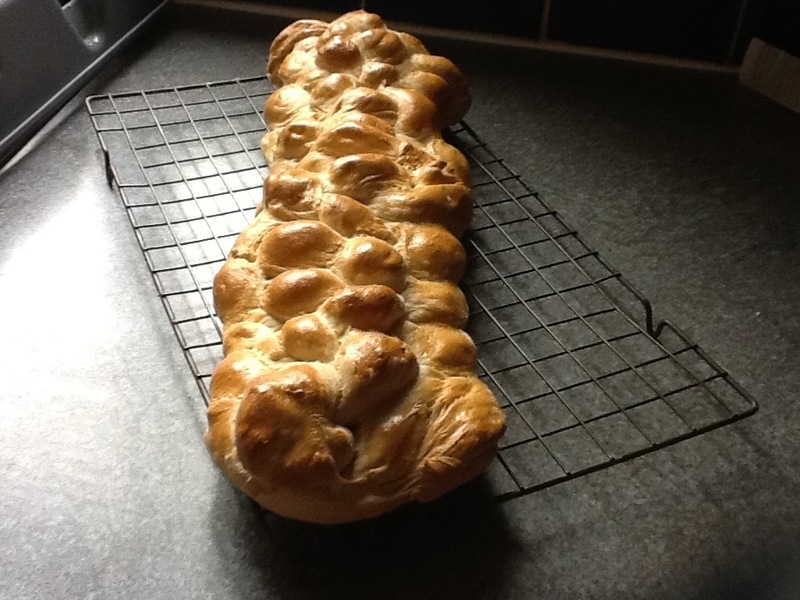 Place the tray into a preheated oven at Gas Mark 5 (200 degrees) and bake for 20 – 30 minutes. That’s it! Pretty simple huh! 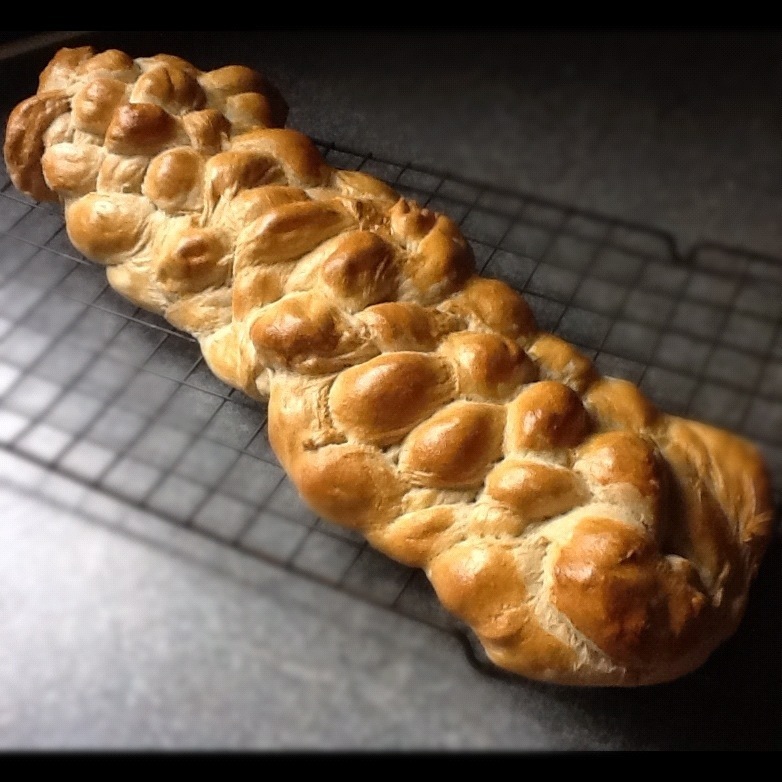 Check out the full recipe, linked above, to see videos on how to knead and knock back the bread if you’re unsure, and you can even find tonnes more recipes from the Bake Off! ‘The Great British Bake Off’ started again this week! In case you don’t know, it’s an amazing TV show which takes 12 amateur bakers and pits them against each other to see who is the best baker. Like all good head to head shows, someone is booted out by the judges for failing to impress with the bakes that they’ve produced that week and so the show goes until the final when the Master Baker is pronounced the winner. This is TV at its finest, Masterchef for only baked goods! Needless to say, if you’re free Tuesday Nights at 8pm UK time, you need to watch this. 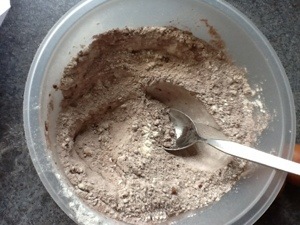 Mix all the dry ingredients together into a bowl and stir them to combine. 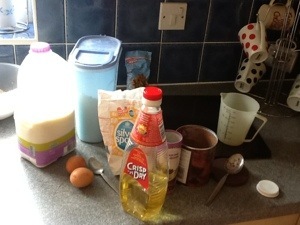 Add in the eggs, milk, vanilla and oil and fold them into the mixture until everything is combined. Spoon the mixture into muffin cases and place on a tray (paper muffin cases are fine, but we have reusable silicone ones). 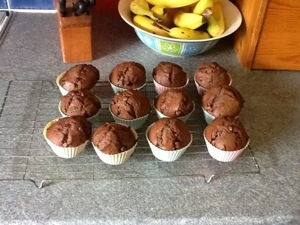 Place the muffins into a hot oven for 10 minutes, then turn them and put them back in for another 6 minutes. 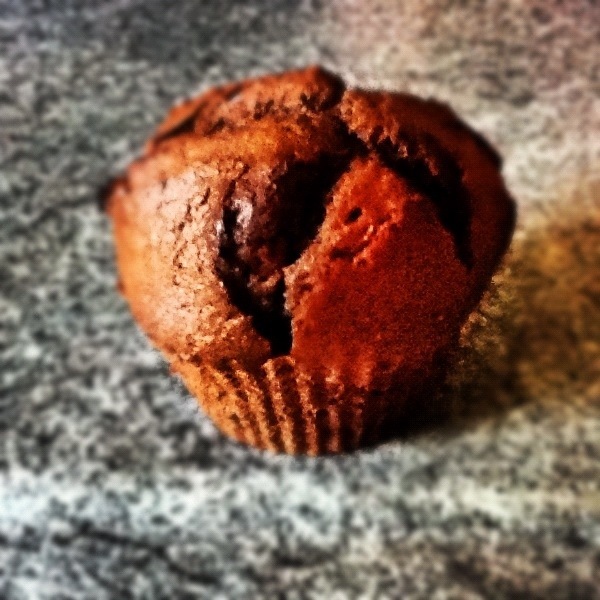 Whip the muffins out of the oven and make sure that they have risen properly. 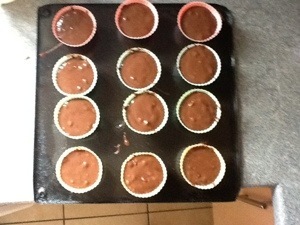 Remove the muffins from the case if you’re using silicone cases or they’ll sweat! They’re really easy to make and absolutely delicious, so why not show some love for the less attractive sibling of the cupcake and make a batch of your own muffins and share them in the comments!